Control PC: The lazy winter days are here which will force you to not come out of the blanket. Think, if you are watching movies on PC and the volume suddenly gets higher. You will not wish to come out and use the keyboard or mouse to pc volume control. 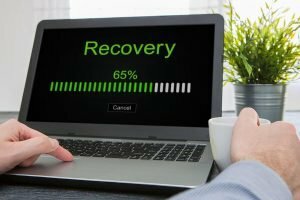 If you are in the same situation, then use your smartphone to control your PC just like the mouse or keyboard, but without stepping out of your bed. We are in a developing world in which everything is possible. The smartphone apps allow doing all the impossible things. Android apps and very essential if you have a smartphone. Without apps, we have nothing to do with a smartphone. Using Android apps, you can control different devices through local Wifi, Bluetooth or from the internet. You can control many devices like TV, PC or even Air condition. Overall, all the smart home devices can be connected to a smartphone. In this article, we will discuss the best apps to manage PC from Android smartphone. These apps offer screen sharing feature to obtain GUI administration for PC or laptop. 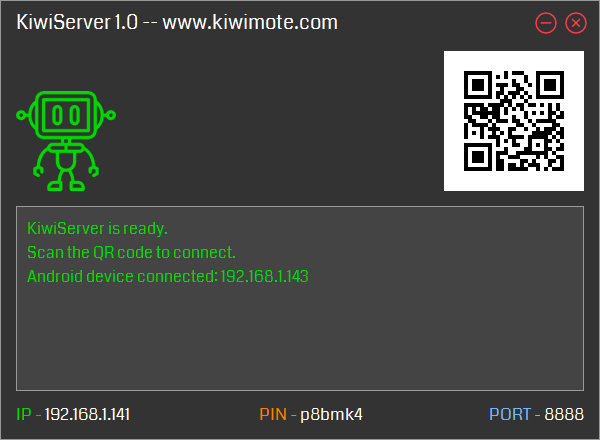 KiwiMote lets you control your computer through Wifi. It is available for Android 4.0.1 and above. It needs a side server and Java installed on your PC. It will capture just 2Mb which operates on Windows, Mac, and Linux. You have to link your phone and computer to the same Wifi router or hotspot. Scan the QR code via PC to connect the smartphone. You can operate keyboard, mouse, and gamepad smoothly with this app. Moreover, you can also handle Adobe PDF Reader, GOM Player, KM Player, Pot Player, VLC Media Player, Windows Media Player, Windows Photo Viewer and much more. It is a desktop remort control app for a phone. 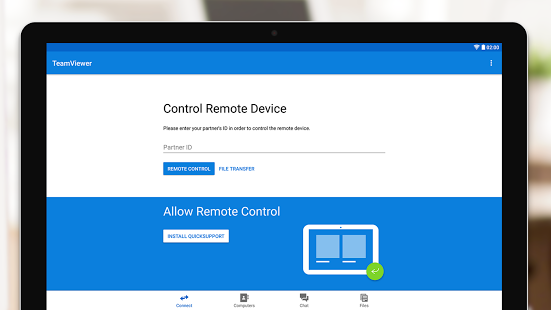 Chrome Remote Desktop lets users see their PC and manage it from almost anywhere.Chrome Remote Desktop app requires Google account to access the remote sharing functions. 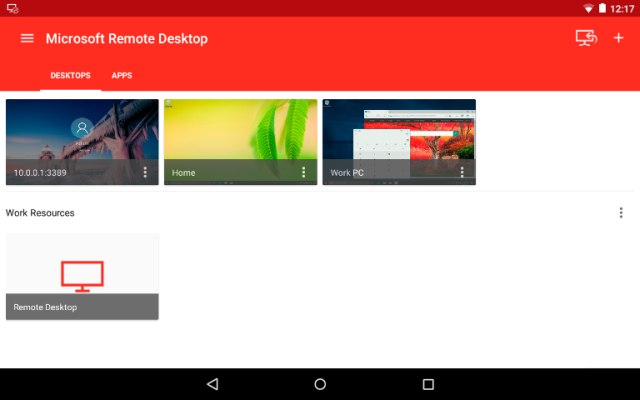 Chrome Remote desktop enables live screen sharing which is not present in KiwiMote. 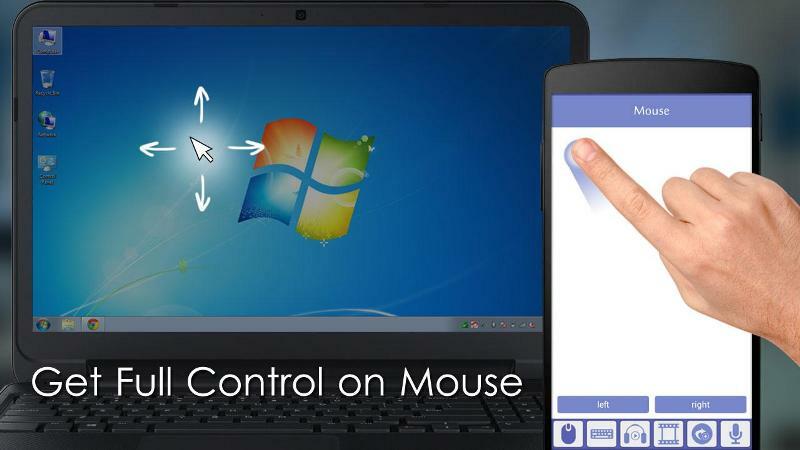 It is quick so the users can use their Android smartphone as a mouse. They can also manage their PC through touch response. Teamviewer is a popular app which we are using for past many years. You can use TeamViewer for remote control app for managing your PC running on Windows, Linux, and Mac via Android smartphone. The users can also handily command other Android devices or Windows 10 portable systems. You don’t have to be on the same Wifi, hotspot or local network so you canto controls PC digitally. It has screen sharing features and offers active communication. It also offers bi-directional data sharing and High Definition video transmission. The unified remote server uses Bluetooth or Wifi to manage your PC. It supports more than 90 approved programs. The users can download the server side desktop program which supports Windows, Linux, and Mac. It holds Wake on LAN which starts your PC from sleep mode. You can also manage Raspberry Pi and Arduino Yun. Some other features are file manager, screen mirroring, media player control and more. 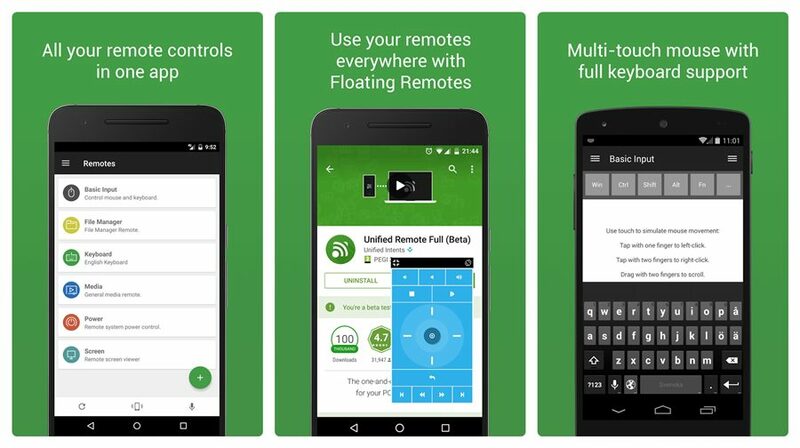 The paid version has “Floating Remotes” feature which works with other apps too. PC Remote work on Windows XP/7/8/10. You can control your computer from Android through Bluetooth or Wifi. It is about 31Mb. 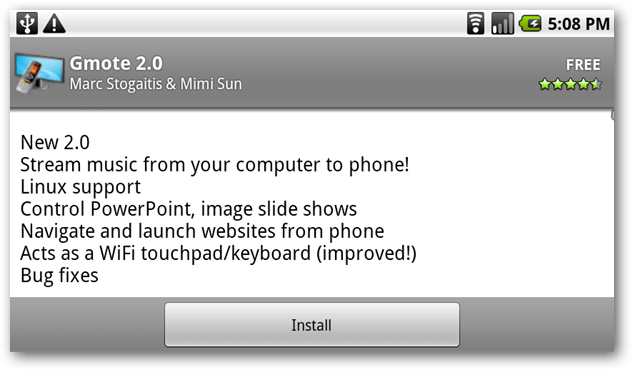 Some of the features are a mouse, keyboard, and Powerpoint control. The “Remote Desktop” feature is different in this app. Using the feature, you can see your PC screen in real time and manage with touch sense. It comes with FTP server as “Data cable” which allows you to operate files on your phone from computer. 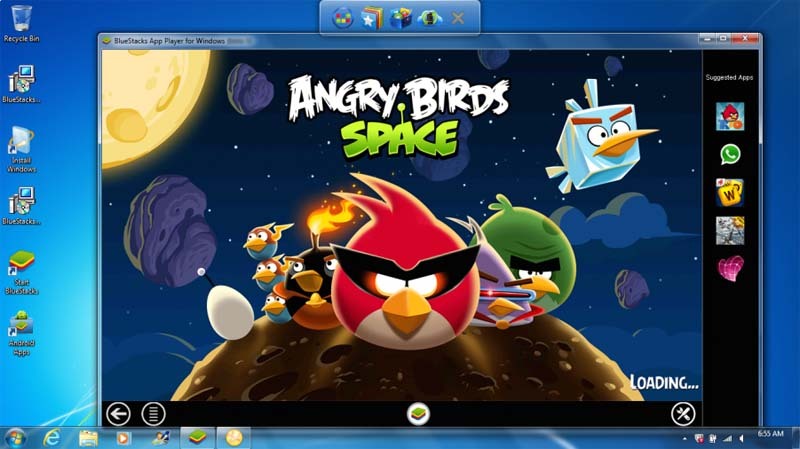 It includes 30 classic console games which you can open on your PC in a screen touch. You can play using the game controller to play via the app. 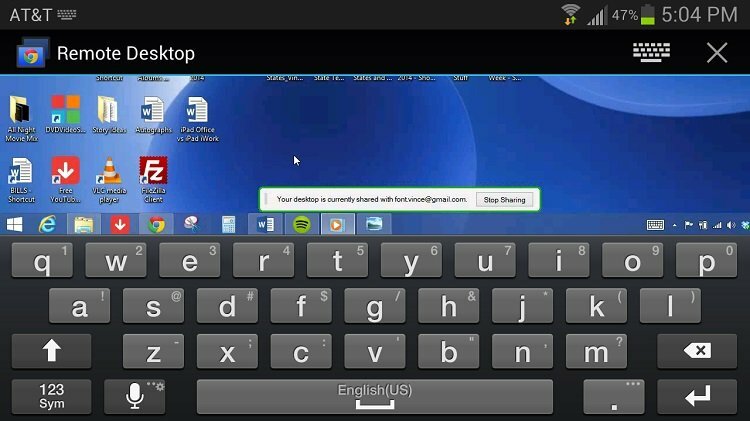 RealVNC (innovators of VNC itself) has produced the VNC Viewer which allows you to control pc from android or any servers. 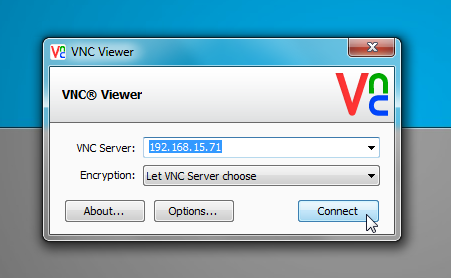 VNC Viewer sets safe and strong cloud links to VNC or VNC Connect congenial PC without the requirement of any network configuration. It is a free open source solution which has many features packed. You can easily control android from pc using this app. You can connect to various OS like Windows, Mac, Linux and Raspberry Pi also. 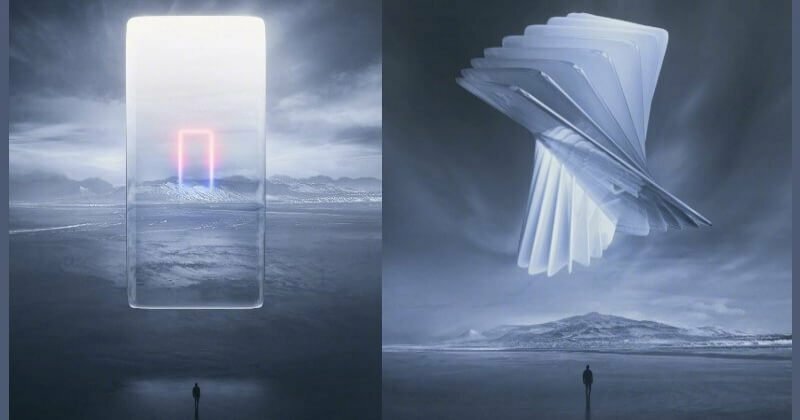 You can connect PC using open-source VNC or third-party VNC-compatible software like TightVNC, Apple Screen Sharing, etc. You don’t require any software for using Microsoft Remote on the remote system unless it works Windows. If you have trouble downloading the app, then download Remote Desktop Assistant which will help you. It is a platform for a Windows-only solution. Overall, this app works great on Windows OS so you don’t have to regret later. It comes with some features like clipboard though needs advanced features like file transfer, chat and voice call, much more. Splashtop is a safe remote control app which provides full entrance to apps, multimedia files, games and lots on the PC. You can easily install in the remote control link with the Splashtop Streamer on the remote PC. It is a local network solution which has some additional features. However, the additional features are available only for the premium subscription. The features are worth the cost so you can use it only if you want a secure remort app. It can be used for playing music and media from PC via smartphone. QRemoteControl uses WiFi to control PC through smartphone or tablet. You can sue the touchpad of the phone to start the internet browser and visit pages different sites. Moreover, it allows you to manage the music player or media center from anywhere. You can also use it while presenting a presentation. Reviewing QRemote Control enables you to manage PC without mouse and a keyboard. Also starting on the PC through WLAN is backed by the app. QRemote Control allows you a touch-pad, a keyboard, multimedia keys and buttons for launching the applications. Gmote 2.0 convert your Android smartphone into a remote control for your PC. It allows you to open and manage movies and music at a great distance. It has been recently updated with bug fixes so it is safe. With Windows, it also supports Linux and controls PowerPoint’s image slideshows. You can easily navigate and launch websites from your smartphone. It works like your WiFi touchpad or keyboard functions. It also has many other features. So, these were the best apps to control PC from Android smartphone. You don’t have to use keyboard and mouse for some primary uses from now. You can get all these apps from Google play store without any difficulty. Play store also has apps to control your phone from pc. I hope you enjoy the experience of using these apps. You can leave your comments if you liked this article. You can also share this article with your friends if you think these apps are useful for them.